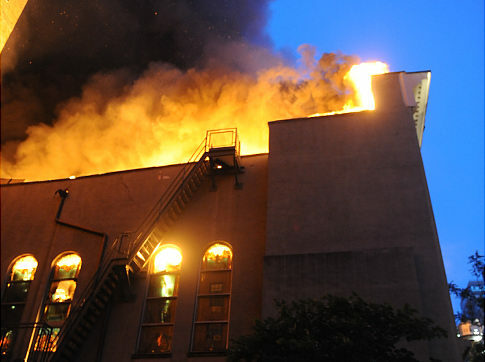 Last Monday, a ferocious four-alarm fire all but destroyed the Congregation Kehilath Jeshurun synagogue on East 85th Street on the upper East Side in Manhattan. The blaze broke out at 8:30 pm. Originally constructed in 1901, the synagogue has been closed since May for renovations scheduled for September completion. Thank God, the synagogue’s religious artifacts were housed elsewhere. The congregation, whose rabbi converted Ivanka Trump to Judaism before her marriage to Jared Kushner, has more than 1,200 members. 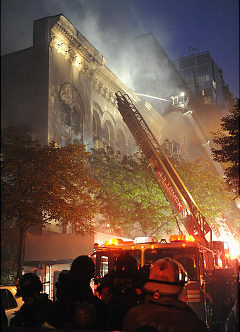 The source of the blaze is still under investigation reports the New York Daily News.